The number of refugees who lost their lives in Calais has risen once again this week. A young (we are told around 15years old) Afghan refugee died on Thursday night in Calais, hit by a car, close to the ferry port, probably while attempting to reach the UK. His identity has not been certified yet. A prayer vigil took place last night. As the death toll increases year by year, the border separating France and England is becoming a graveyard for refugees trying to cross hoping for a better life. 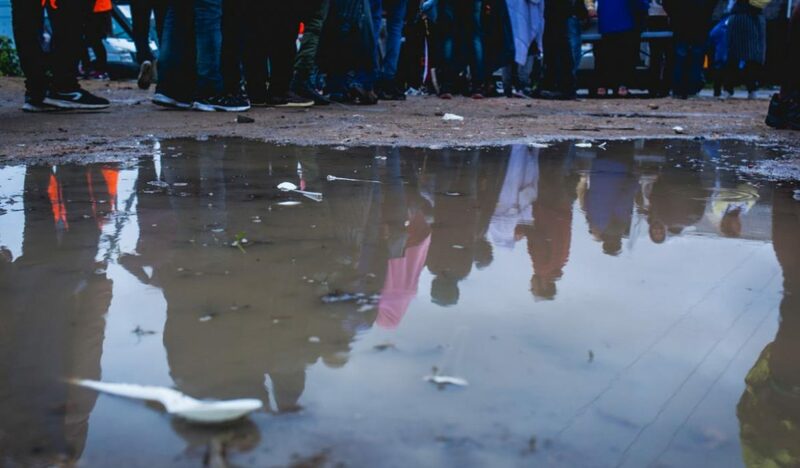 Getting hit by a vehicle, freezing in squalid conditions, falling victims of all types of abuse: this is the fate that awaits and takes the lives of too many refugees stranded in Calais. The Calais prefecture has announced another €5m will be paid by the UK government to light the motorway bypass around the town. How much would it cost to house these boys in the UK? Still, European governments, with blood on their hands, continue to shut borders and dehumanize migrants at home, and bring war and create poverty abroad. As we look towards the New Year we ask how long will this tragedy will last?